Bloomberg's Attack On Teachers And The Union Must Be Exposed For What It Is. To Destroy Educator Rights And Protections. His Emperor, Mayor4Life Michael Bloomberg has continued his onslaught against senior teachers and the teachers' union by publishing a list of layoffs by school which only resulted in scaring teachers and parents as he presses his attack on "Last in, first out" (LIFO). Even the Council Of School Supervisors And Administrators CSA, has come out against Bloomberg's attack on LIFO. 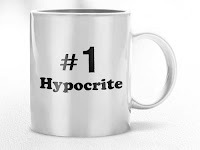 However, you do not see the media interview either the UFT or CSA leadership why LIFO protects educators from cronyism, favoritism, ageism, discrimination, and patronage that is the reason LIFO exists in the first place. Instead the media interviews "Leadership Academy Principals" with little, if any, classroom experience, and "newbie teachers" who are part of E4E for their opinions. Fox news claims it is "fair and balanced". However, Fox and the rest of the news media don't seem interested in hearing the other side except to give UFT Michael Mulgrew a short response to Bloomberg's attack on teacher seniority. 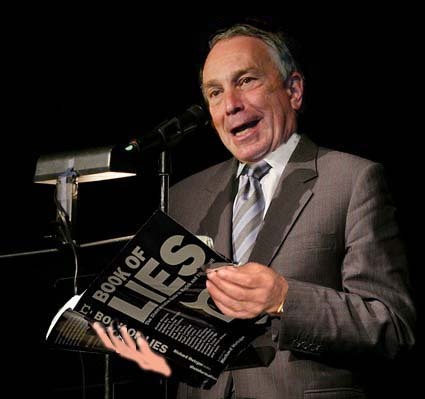 The media, rather than being fair and balanced is simply a mouthpiece for Bloomberg and Black. Bloomberg's attack is a scare tactic and since the union leadership is going to Albany tomorrow, they must tell the State Legislature what Bloomberg and Black's real intentions are. That is to destroy the teachers union and allow the Emperor and his unqualified Chancellor to layoff teachers whenever they feel like it. I may have some differences on how the UFT represents its members but in this case we need to support our union 100% against Bloomberg's attack on our profession. 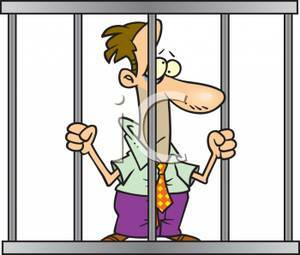 What My 3020-a Arbitrator Actually Found Me Guilty Of - "It Is What It Is" And Nothing More. When I wrote that I was incarcerated by the DOE for four and a half years until my 3020-a Arbitrator found that I did not commit misconduct but just made a statement to a student in the presence of others that embarrassed the student, many people were questioning on just what did the Arbitrator rule? To some it sounds incredible that the DOE would waste all that time and money on persecuting me but they did and I am sure I am not the only one. While I cannot at this time include the entire 3020-a document for reasons that will become apparent in the months ahead. I will enclose the letter I received from New York State stating what I was found guilty of by the 3020-a Arbitrator. This should put to rest the vile, evil, and outrageous accusations and inferences that "Unity Hack" and some other disgusting people who falsely believe there must be more than I am disclosing. 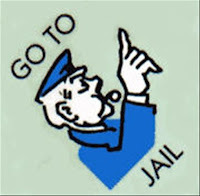 You might ask how can the DOE justify their incarcerating me for 4.5 years based on no misconduct? The answer is quite simple. It is never about the truth it is about how the simple statement I made which was clumsily stated to a student in a room full of students was deliberately embellished beyond belief by the DOE to the point that it took a 3020-a Arbitrator who demanded real evidence to support the DOE charges which of course, they couldn't and was reduced to what the New York State Department Of Education sent me. I hope this puts to rest and lingering uncertainty about how a simple expression of praise to a student, clumsily stated, can be embellished, twisted, perverted, and changed to suit the purposes of the DOE in their ongoing effort in removing senior teachers. To all you teachers who don't think it can happen to you. Remember what Pastor Martin Niemoller experienced and wrote. Under Mayor Bloomberg's proposal you can change the groups in what the Pastor wrote but the process is the same. For the younger teachers. Remember, if you last long enough to get close to being vested for a pension and retiree health benefits (60% do not), you will be considered a senior teacher and under threat if LIFO is changed to what mayor Bloomberg wants. The Emperor, Mayor4Life, Michael Bloomberg Goes For The Jugular When It Comes To Teachers Rights. How Will The Union Respond To This Attack? 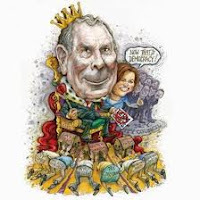 His Emperor, Mayor4Life Michael Bloomberg has started his Legislative campaign to get rid of senior teachers by having two hapless and clueless politicians propose an alternative to "Last in, First out". This is Bloomberg's first important salvo in dismantling the Civil Service laws and to destroy the teachers' union. 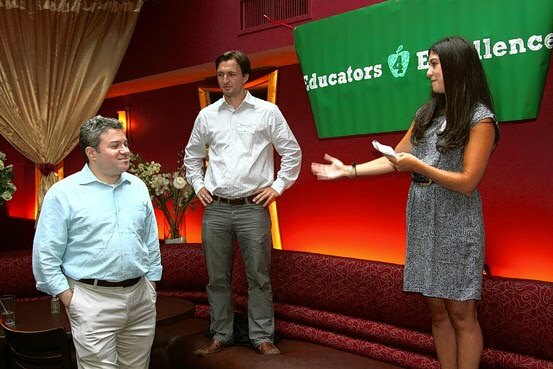 Gotham Schools reported today that Bloomberg was able to put forth his layoff plan for teachers through an East End Republican, Joseph Flanagan in the Senate and of course his Court Jester, Democrat Jonathan Bing in the Assembly. Ana Phillips of Gotham News report the entire proposal which in effect gets rid of any teacher who received a "U" rating in the last five years as well as any teacher that was subject to disciplinary action that resulted in fines or suspensions Finally, the Principal is the sole determiner of who gets layoff. In other words, the entire proposal is based upon getting rid of teachers that administrators don't like. This proposal not only goes after a teacher's livelihood but goes after the jugular vein of the teachers' union. While this outrageous and dangerous anti-union proposal will probably die in the State Assembly, just the idea that the Sate Legislature, especially the Senate may actually pass this abomination is scary. What is our union doing about this attack not only on its members but the Civil Service protections that has been a trademark of this State? I hope that UFT President Michael Mulgrew is not only telling the politicians what the consequences are for supporting this union-busting and teacher bashing Legislation but getting support of all the unions in combating Bloomberg's attack on public workers. The full text of the City initiated attack on senior teachers can be found Here. What is left unsaid about the proposal is that Bloomberg can get rid of high salaried senior teachers and keep cheaper teachers knowing full well that over 50% of these teachers will be gone from the New York City School System within five years. Moreover, if the teachers come from "Teach For America" an astonishing 80% leave the classroom within three years. The piece exposes that no matter how smart and enthusiastic these teachers are, they are gone from the classroom all too soon without acquiring the classroom management and social skills that could make them a "good teacher"The article by Stephen Lazar is a must read if you are to understand why retention of teachers is more important then having a large turnover of "newbie teachers". Any right thinking person can never support this anti-teacher Legislation that Bloomberg and his flunkies have proposed and I am waiting for Michael Mulgrew to show me that he is the 800 pound gorilla he claims he is. 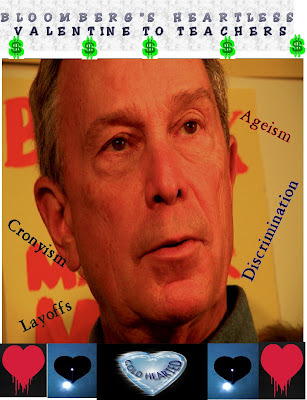 Update: Please read Accountable Talk's post about Bloomberg's real intention. Statistical Data & Anecodotals Show The Acquittal Rate Is Much Lower For The NYC Version Of 3020-a Law When Compared To The Rest Of The State. In my comment section of a previous post I was surprised how little teachers understood the New York City version of the teacher 3020-a process. 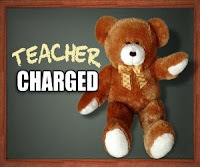 First, teachers must understand that when the Department of Education file 3020-a charges against a teacher it is because they want to terminate the teacher. It does not matter how bogus, frivolous, or embellished the charges are. Once the DOE files 3020-a charges against a teacher, they will never drop the charges unless the DOE lawyer decides to offer a settlement. Approximately 50% of the teachers take a settlement that ranges from resignation at the end of the school year to significant fines and courses. The other 50% of the teachers go through their hearings either because the teacher refused to take a settlement that admits guilt or that no settlement was offered. In almost all cases, based upon a Richard Condon/Joel Klein agreement, all teachers investigated by SCI and substantiated, where SCI recommended termination must go through the entire 3020-a process and make the Arbitrator decide the teacher's fate. During the 3020-a backlog of last year, some teachers were eventually offered settlements, despite the SCI/DOE agreement. However, the SCI/DOE agreement apparently remains in force under the unqualified Chancellor, Cathie Black. Like I have wrote previously, the NYC version of the 3020-a process is different from the State 3020-a. Because of the fact that all arbitrators in the NYC version of the 3020-a process are appointed to one year terms by both the DOE and the UFT. Therefore, the Arbitrators are very careful to appease both sides if they intend to stay on the panel. That brings me to one of the more glaring differences between the State and NYC version of the 3020-a process. That is the teacher acquittal rate. To be considered acquitted in the 3020-a process the teacher must have all charges, sub charges, and non-charges dismissed. That means if an Arbitrator makes a teacher take a "sensitivity course" or receive a "Letter-To-File", that is enough to find a teacher guilty. No fine, no suspension, no findings of misconduct just a course or a letter to the teacher's file is considered finding the teacher guilty. Crazy as this sounds, it is true. I was able to obtain data for the acquittal rates from the State and NYC version of the 3020-a process for the year 2006. I found that in the New York State 3020-a version the acquittal rate was approximately 14%. While, from both statistical and anecdotal evidence, the New York City 3020-a version, the acquittal rate is a measly 4% and probably less than that lately. Gotham Schools posted an article from an upstate newspaper that published some of the New York State 3020-a numbers (that apparently included NYC numbers) and included the acquittal rate for an eleven year period. Between 1995-2006 there were 633 State 3020-a disciplinary hearings and 86 acquittals or 14% where the Arbitrator dismissed the entire case. By contrast an article in the Village Voice called "Class Dismissed". Which obtained from the DOE statistics that showed in 2006 that 8 out of 200 teachers who went through their 3020-a hearings were acquitted. That is a 4% acquittal rate and based on anecdotal information from people familiar with the NYC version of the 3020-a process that might be a little lower for the last three years. (2007-2010). The acquittal rates may be even larger between the two 3020-a versions (State and NYC) since many upstate school districts do not have the time and money to pursue State 3020-a charges against teachers, except for the most serious cases since in can cost $250,000 or more to complete the 3020-a process which averages 512 days. Therefore, many of the less serious cases are quietly settled without 3020-a charges ever being issued. Otherwise, the State acquittal rate would be higher. The New York State acquittal percentage would most definitely be higher If the school districts followed the example of the NYC DOE who are not reluctant to charge teachers on bogus, frivolous, or embellished charges no matter how much it costs to charge teachers under the NYC version of 3020-a. 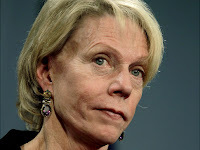 To Tweed, wasting up to 30 million dollars annually is well worth it if it keeps accused teachers out of the classroom based upon a lying student's statement, a vindictive Administrator who dislikes the teacher, or a biased investigator. In many cases, a combination of all three. In the bizarro world of the DOE the teacher is always guilty when charged and unfortunately, under the NYC version of the 3020-a process for over 96% of the teachers they stay guilty. Bloomberg Wants To Layoff 4,666 Teachers. How about Getting Rid Of Some Of The 16,360 Non-School Personnel That Has Been Hired By Tweed Under Klein? We all know that the Emperor, Mayor4Life Michael Bloomberg has threatened to layoff 4,666 teachers and has even said if more money is freed up by the State it might not be used to advert teacher layoffs. While I do not believe for a second that the Emperor will follow through with the teacher layoff threat, especially when he fails to get the State Legislature to change seniority-based layoffs and get the union to negotiate the termination of the ATRs. I do think that the Emperor should look at the increase of 16,360 non-school employees under his Administration at the DOE for real cost savings. According to the New York Post in its Editorial about the Bloomberg budget, it states that there has been an increase of 16,360 employees at the DOE during the last decade. I must assume that at best teacher numbers stayed stable or are slightly lower between the rise of Charter Schools, teacher attrition, and larger class sizes in the last few years. Therefore, what Bloomberg should be concentrating on are the 16,360 increase in non-school employment at the DOE now that Ex-Chancellor Joel Klein is gone. Now with the unqualified Chancellor Cathie Black in charge, she should do some real housecleaning and streamlining of the DOE. As UFT President Michael Mulgrew stated that the strength of Cathie Black is that she is a good manager. Therefore, Cathie Black really has to get her own house in order and reduce the bloated Central Bureaucracy and drastically reduce the number of her eight Deputy Chancellors before she looks elsewhere for cuts. So far, the only thing the unqualified Chancellor, Cathie Black has proposed is that school principals give back 50% of their leftover funds for the next school year. Just unbelievable. Instead of attacking the bloat at Tweed and the reduction of high priced consultants she goes after frugal principals and the schools. By the way when the media asked the DOE where will the money go to? They failed to answer the question. To make matters worse the revised DOE 2012 budget has increased the technology budget by an astounding $342 million dollars or a 171% increase which may or not have direct application in the schools while reducing the budget in classroom construction from $912 to only $391 million, a 57% decrease in the school construction budget. It seems that the unqualified Chancellor is in over her head as it appears that it is Tweed 1 and the schools 0, just like it was under ex-Chancellor Joel Klein. The union needs go over to the offensive and ask the City Council, the City Comptroller, John Liu, and the media why does the DOE need the increase of 16,360 non-school personnel in the last decade while the Mayor wants to layoff teachers and significantly raise class size? The union needs to demand transparency and accountability of the DOE process that will show that Bloomberg and Black are playing a political game that only serves to hurt the very children they clam to defend. My DOE Incarceration Is Over - Free At Last! Yes, it is true after 1567 days, my DOE incarceration is finally over. The DOE, while never admitting defeat, has thrown in the towel and surrendered to the inevitable truth and has put me back into a school. The DOE really had no choice since my Arbitrator, bless her soul, found no misconduct on my part and gave me a slap on the wrist for making a student uncomfortable based upon a clumsy statement on my part that happened in a classroom of 30 students. This was more about the student then myself but as we all know the Arbitrators must give something to the DOE because that is how the system works. That the SCI and OSI investigation process is biased against the teacher and is dictated by how the Principal feels about him or her. That teachers who had the PIP+ program will almost certainly be terminated by the Arbitrator. There are few acquittals and there is about a 20% termination rate if the teacher goes through the 3020-a hearings. However, many (not all) of the Arbitrator decisions tend to be more lenient to the teacher then the settlements the DOE offers if he or she takes the 3020-a hearing to its conclusion. There is really no matrix between what the teacher is charged with and what the Arbitrator decides as an "award". Every 3020-a case is different, and the outcome depends on many factors. Therefore, there is no way to know what the final decision will be. This uncertainty leads many frightened teachers to accept settlement terms with the DOE that includes significant fines ($5,000 to $15,000) and a course or two. The Union leaders believe all reassigned teachers are "guilty of something" and they should stay quiet and be clueless to the procedures until the reassignment process ends. In fact, they warn newly reassigned teachers not to talk to others about their case so as to control the flow of information to the frightened teacher. Many good teachers are reassigned due to vindictive and insecure principals and there is no consequences to these administrators when the charges are found to be false or frivolous. A majority of the charges against teachers are greatly embellished, taken out of context, twisted, and false. The Arbitrator does not look kindly to this when the DOE fails to show proof of the charges in testimony. Remember, it is hard to remember a lie but easy to remember the truth and this shows up in the 3020-a hearings where witnesses are under oath. The teacher is the most important witness in the 3020-a hearing. The Arbitrator always wants to hear from you. Therefore, if you handle yourself well and tell the truth, the Arbitrator will take that in account when issuing the "award". Never lie! If you are caught in a lie, none of your testimony will be credible and it can lead to your termination. Some teachers should never be in the classroom again. However, the DOE seems to make deals with these same problem teachers time and again and send them back to the classroom. unbelievable, but true. I will write a follow up about these people at a later date. Finally, never go into a meeting with the Principal or an Investigator without union representation, never, never, never! Too many teachers found themselves out of the classroom after going into the Principal's office without union representation and end up hanging themselves based upon their own statements. I have read the proposals by Educators4Excellence (E4E) on who should get laid off and believe that these fifth columnists are not just clueless on how the NYC school system works but are aiding and abetting Emperor Bloomberg in his attempt to destroy the teacher's union. The proposals are almost the same as the Mayor4Life's proposal except they added absences as a factor. Of course just like the Emperor and his vassal Chancellor Cathie Black, they do not explain how to come up a fair and equitable teacher evaluation procedure, except to ask that Principals document why a teacher should be laid off. 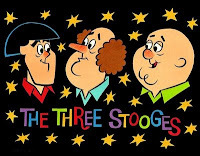 The E4E are simply stooges for the Mayor and his ed deformer friends who really want a replaceable, inexpensive, and unvested teaching staff in their "education on the cheap" policies. With top stooge and Bloomberg jester, Jonathan (Moe) Bing carrying the ball to Albany to ask for repeal of the seniority-based layoffs for teachers. For people who don't understand about E4E, this group was formed by two "newbie" teachers who promptly quit teaching full time when the ed deformers funded their organization and gave them a salary. Sydney (Curly) Morris and Evan (Larry) Stone receives funding from the Gates Foundation and Joel Klein's Education Reform group. As for Principals empowered to do the right thing. Here are just three cases why seniority-based layoffs is the only way to go. Exhibit A: Chapter Leader Peter Lamphere's story. Exhibit B: Principal Iris Blidge. Exhibit C: Tale Of Two Teachers. Finally, JD2718 wrote an article that he took from a Philadelphia blog that applies here and is why seniority-based layoffs cannot be changed under any circumstances. Eliminating seniority-based layoffs is just bringing back the "bad old days" of Tammany Hall where, patronage, favoritism, cronyism, and intimidation would determine who would get laid off. Its bad enough that Bloomberg acts like "Boss Tweed" does this City really want to back to the 1800's? I hope not. Our Cold-Hearted Mayor Wants To Give Teachers A Valentine Gift For The Next School Year. Eliminate Our Jobs & Hurt The Schools. With the arrival of Valentine's Day our heartless Mayor has ramped up his rhetoric on attacking experienced teachers by imploring the State Legislature to eliminate seniority-based layoff procedure known as "last in, first out" or LIFO. His allies, the New York Post who almost everyday has an article and editorial to eliminate LIFO and that hypocrite, Joel Klein adds to the chorus to eliminate LIFO. Moreover, the Mayor not only wants to get rid of senior teachers but wants to eliminate ATRs, "U" rated teachers, and any teacher who found themselves in the "rubber room" no matter what the reason is, real or imagined. This is simply an ideological attack on teachers and is consistent with his disrespect for our union and our profession. In addition, the Mayor4Life is also attacking our pension as well. According to his Emperor, Michael Bloomberg, no teacher would be allowed to retire and receive benefits until 65. Furthermore, the billionaire Mayor wants to eliminate the 7% interest rate to teacher TDA's. It is quite obvious that starting with his appointment of his country club buddy and flunky, the unqualified Cathie Black as Chancellor, the dramatic increase in class sizes and school overcrowding in the last couple of years, his objection to the millionaire tax that would affect his rich friends, and how he uses the recession to advance his ideological programs shows that it is not about the children when it comes to his Administration. Its about him. This brings me to UFT President Michael Mulgrew who has finally started a public relations campaign against Bloomberg called Blizzard. However, I found it too Randi Weingarten like. Meaning it was too soft and didn't explain how to reduce class size by using the ATRs. Further, the ad should have explained that Bloomberg's attack on seniority-based layoffs is reminiscent to the abuse by Tammany Hall of the public worker which led to the establishment to Civil Service Law. Comparing Bloomberg to "Boss Tweed" would have been a very effective visual. I can only hope that this ad is only the first of many and that these ads must destroy the myth that he is the education Mayor. What the Mayor is doing is simple senior teacher bashing and disrespect, combined with his "education on the cheap" polices. One of the darkest periods in New York City history was when Tammany Hall controlled New York City where public jobs were given to those people based upon nepotism, prejudice, kickbacks, and outright corruption. In response in 1883 the Civil Service regulations were implemented to protect public workers from those disgusting practices. 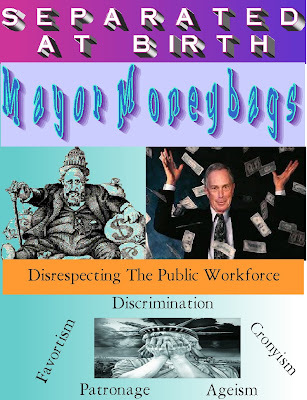 Now, 128 years later The Emperor, Mayor4Life, Michael Bloomberg wants to bring back these "bad old days" of Boss Tweed by attacking hard-won protections for Civil Servants. The Emperor makes no bones about eliminating seniority-based layoffs, pension rights, due process, and scale back civil service rights as he setup a task force, without Labor input that proposed everything he wants. By contrast the Citytime and ARIS fiascoes and the outrageous funding of highly paid consultants and their useless programs are ignored by the Emperor. This is what happens when you buy your way to a third term and think that you can do anything you want. 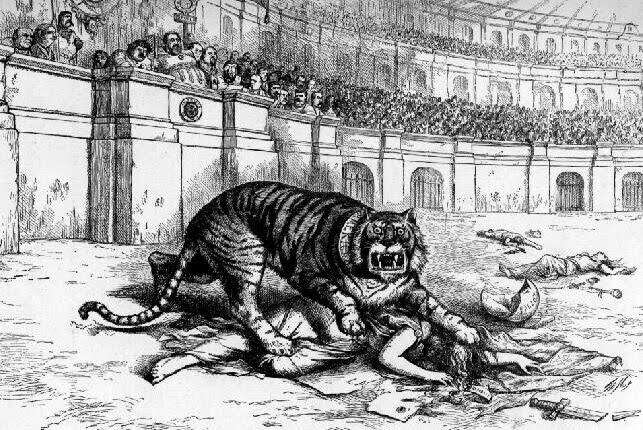 All the Emperor wants to do is be the new Boss Tweed and bring Tammany Hall polices back where public employees can be hired and fired at will and be removed for no reason at all. It is time for the unions throughout New York State and New York City to band together to stop Bloomberg's media blitz and bashing of union workers by putting pressure on the legislature and fighting back by organizing their own media blitz by comparing Bloomberg's proposals to the "bad old days" before there were civil service protections. What is the difference between Boss Tweed and Bloomberg when it comes to the Civil Service laws and public worker respect? Nothing, nothing at all! In Another Case Of DOE Hypocrisy, They Are Using Teachers Who Were Charged With IncompetenceTo Continue Teaching Students. In yet another case, of DOE hypocrisy many teachers who were charged with incompetence by the DOE and have settlied their 3020-a cases by resigning at the end of the school year find themselves back into the classroom and teaching students. Yes, you read this right, the DOE after pressuring teachers to resign at the end of the school year based upon incompetence charges are sent back to schools to finish out the year teaching students! Just unbelievable, and hypocritical. I know many of you think I am making this up but it is true. I know at least 12 teachers who took settlements to resign at the end of the school year, rather than fight a losing battle because of PIP+ at the 3020-a hearing. All, yes all the teachers were put back into schools and most are back in the classroom teaching students. Now just think, these teachers were charged by the DOE under State Law 3020-a with incompetence. That means that the DOE believes that these teachers should not be teaching the students and yet if the teacher settles the incompetence charges by resigning at the end of the school year, they are almost immediately sent to a school and in many cases given a classroom to teach the children. If these teachers were really incompetent, how could they be allowed back into the classroom? The answer is quite simple. The DOE knows that many of these teachers are not incompetent, they are either old (very few young teachers are charged with incompetence), make too much money, the Principal does not like the teacher (see the Iris Blige article), or don't fit the culture of the school. In my experience with the teachers charged with incompetence the majority are quality teachers that fit one or more of the issues I identified in this article. For all you media outlets, how can you justify the DOE filling charges of incompetence against a teacher and once the teacher resigns due to the incompetence charges are sent to teach in a classroom with students until the end of the school year? Now that is just another case of DOE hypocrisy that the media closes their collective eyes to. 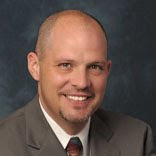 Its About Time That UFT President Michael Mulgrew Took On The Emperor, Mayor Michael Bloomberg InThe Mass Media. I am glad to see that our UFT President, Michael Mulgrew has finally had enough and has started to publicly respond in the newspapers and television to the Emperor's proclamations. It is long overdue. I have complained that Michael Mulgrew has been strangely quiet about the three core issues for teachers. ATRs, seniority-based layoffs, and tenure and this has led to many an insecure teacher to question the union's commitment to its core values. First, he has allowed Bloomberg to run with the seniority-based layoff issue, commonly known as "last in, first out" to the point that he gave a tepid response to the issue when he met with those misguided stooges at Educators4Excellence. He also has not aggressively defended the ATRs when he knows full well thst the ATR crises was created by the DOE and they can simply end the crises by putting the ATRs back into the classroom where they belong in and reduce the ever increasing class size issue at the same time. Therefore, it was really refreshing to see UFT President Michel Mulgrew, in the New York Post article, forcefully respond to the Emperor Bloomberg by comparing him to that despot Hosni Mubarak of Egypt. It is time that our union went on the offensive and bring out the "rubber stamp" PEP which is controlled by the Emperor and the wasting of billions of dollars on consultants and questionable programs (Citytime, ARIS, etc.) . Let's hope the our union President, Michael Mulgrew, has finally realized that Randi Weingarten's appeasement policy does not work and you need to fight back by any legal means necessary like taking out full page ads to not only defend our position but to show the real goal of Bloomberg's "children last" and "education on the cheap policies" a replaceable and nontenured teaching staff who will never last long enough to qualify for a pension. I picked up the New York Post and found that the Emperor's Court Jester and clueless politician Jonathan Bing wrote an opinion piece that explained his position on why seniority-based layoffs, called "last in, first out" should be eliminated and be based upon teacher merit. He wants "justice for teachers and kids". However, he does not explain how his form of "justice" will work. The problem with what Court Jester Bing's idea is that he failed to say how do you evaluate teacher effectiveness! Nowhere in the article does he pretend to have any idea how to evaluate teachers. Just like his Emperor, Mayor4Life Michael Bloomberg, he wants quality teachers but fails to explain who would make that evaluation. 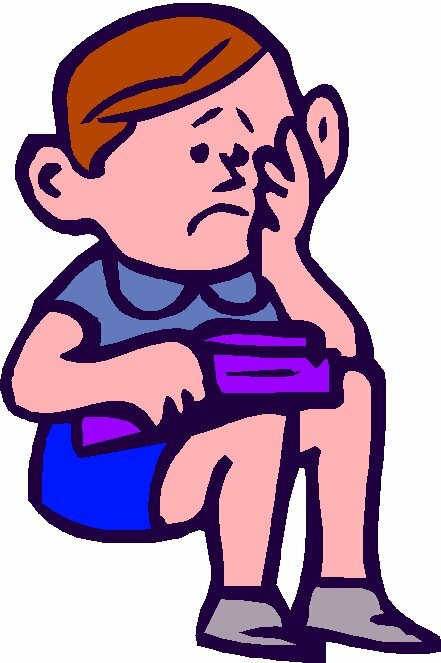 He, just like his no longer teaching friends at Education4Excellence (E4E), has no evaluation plan to determine a quality teacher. Justice indeeed. Of course we know the answer who will evaluate teachers .its the Principal and no one else. Therefore, these politicians, ex-newbie teachers of E4E, and education deformers are willing to allow one person who can be affected by budget, ageism, prejudice, and power to determine the teacher's fate. Exhibit A of why no right-thinking person would ever allow this to happen is Principal Iris Blige, who went after her staff and the DOE apparently looked the other way. If the DOE does not discipline wayward principals who abuse their position of authority, what would stop principals from terminating teachers without cause simply because the Principal doesn't like the teacher? The answer is nothing, nothing at all. Yes, Court Jester Jonathan Bing, it is nice that you want effective teachers. However, you and your Emperor have not even proposed a fair and unbiased evaluation system that would be a starting point to even attempt to change seniority-based layoffs. I just hope our union is savvy enough not to let down its members by agreeing to eliminate or weaken seniority-based layoffs. Just like the ATRs and tenure, seniority-based layoffs is not negotiable. update: The New York Post Editorial Board has blatantly stated that the Principal, and only the Principal should determine "effective teachers". Do I need to prove my point that eliminating seniority-based layoffs is simply a way to get rid of highly-paid, senior teachers? It is no secret that his Emperor, Mayor4Life Michael Bloomberg wants to eliminate senior teachers by any means possible. Be it eliminating "last in first out", impose renewable tenure, or get rid of ATRs. Of course the easiest of the three would be the ATRs by claiming that they do not have a classroom position. Therefore, look for the Emperor to go after the ATRs. However, Bloomberg has no chance of achieving his goals unless the union lets him. See, the ATRs were created by the ex-Chancellor Joel Klein who allowed Principals to hire "newbie teachers" without selecting teachers on the excessed list. Randi Weingarten foolishly agreed to let the DOE do this as long as there were no time limits imposed on the ATRs. 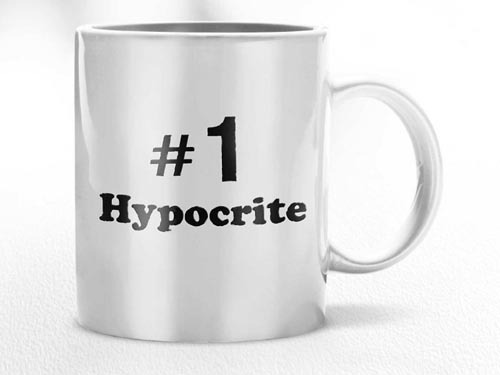 Now that it cost over $100 million dollars annually , the hypocrite ex-Chancellor complains that they want them fired. Well you created the ATR crises and the only way to resolve it is to put the ATRs back in the classroom that they belong in in the first place. I'm sure you've noticed that Bloomberg did not demand to fire deskbound uniform service personnel. It is just his way of going after senior teachers who he seems to hate with a passion. That brings us up to Michael Mulgrew who seems strangely quiet as the Emperor and his minions keep blasting the teachers in the media and even tried to get the new Governor, Andrew Cuomo to include it in his speech (he failed). Granted, the union is probably quietly making sure that what Bloomberg and Black want, they won't get. However, I am concerned that our union's tactic to secretly negotiate with the DOE only to come out on the short end makes me very nervous. It is time for the union to remind the members that there will be no retreat on tenure, seniority, and the ATRs. Let's be pro-active not reactive. Randi Weingarten is gone, stop reminding us of her failed leadership when negotiating with the DOE.